London’s landscape features some of the most scenic and challenging cycling routes you’ll find anywhere in the country. In addition, London hosts The Redbud Ride, an annual ride that brings in over 1,000 riders from over a dozen states. 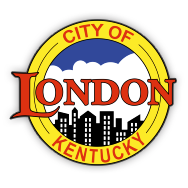 Visit the London-Laurel County Tourism page for more cycling routes and rides or click here for the London Cycling Guide. Shelter houses are available on a first come first serve basis at no charge. No need for scheduling. Please enjoy our City of London Parks! The aerial park allows guests to travel through five trails and 60 obstacles within the treetops. There are five trails with 12 elements, each color-coded from beginner to advanced. The park features ziplines, challenges, bridges, and more! Climb with confidence – guests are always locked in a double harness system that keeps them connected to a safety line at all times. The London-Laurel County Wellness Park is located behind the Laurel County Public Library off KY-192. Two historic coal silos adorn the property that features plenty of parking, basketball courts, a skate park, bicycle pump track, two restrooms, two small picnic shelters, two large picnic shelters, two volleyball courts, a playground, walking trail, mountain bike trail, and a splash pad. Mill Street Park is located on Mill Street and features a splash pad, two picnic shelters, playground area, and a volleyball court. London Rotary Park is handicap accessible and open to the public. Whitley Branch park is the wooded area adjoining the London Rotary Park on Dixie Street, and will offer all three entities when construction is completed. Whitley Branch park will be completely handicapped accessible for elderly with an entrance along south Dixie Street and limestone trails along each side of the stream running through the property, he said. Preserving the natural history of property is being incorporated into the plans for the park by utilizing a historic chimney for a recreation/education area. There is a historic chimney on the property that will become a feature within a picnic shelter and classroom area. Discussion has been made with the Division of Forestry for a program for middle school students to identify the different types of plants native to the area and use that a classroom. Walking trails will also be a prime feature of the city’s latest park project. The area will feature “just shy of a mile and quarter” of trails and four shelters. There will be a parking lot on Whitley Street and a parking lot on Dixie Street by the Rotary Park. The area will also feature a fenced in dog park. Eventually, three bridges will span across the stream running through the property while the construction will avoid the four main sewer lines that are also located in the area.